Today marks the completion of yet another successful transition program for our sixth grade students - both anxious and nervous to enter the seventh grade next Fall. 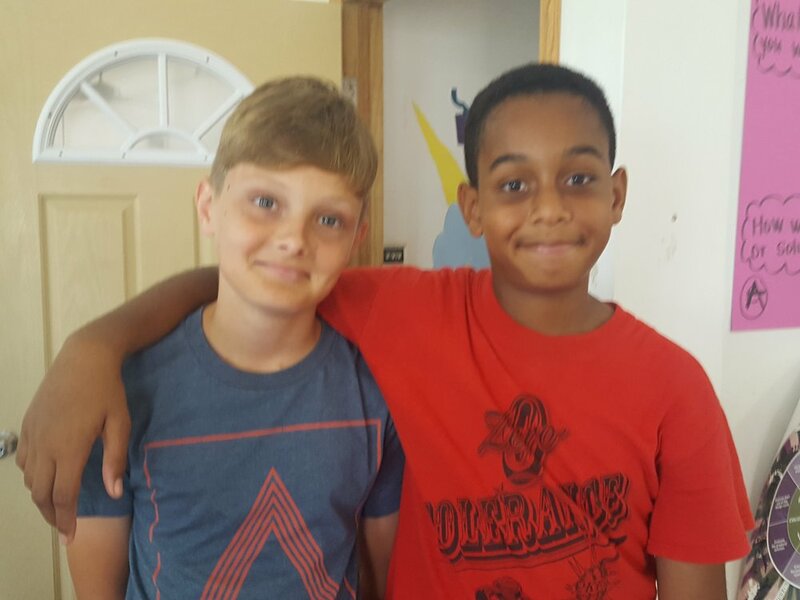 Over the course of the last several days, sixth grade students were matched with a "host" seventh grader to show them the ropes - an opportunity they have been dying to experience! Today we had a chance to interview Gavin, Leah and Selena and hear their thoughts about this right of passage. Peter Gruber International Academy (PGIA) Director of twelve years, Ms. Gloria Zakers claims this six year tradition is "extremely beneficial and proven to have a high success rate." There are a series of different components that combined provide both parents and students better insight as to what to expect in seventh grade and better understand that this transition is not to be taken for granted. Following a full day visitation with the seventh graders, sixth grade students are visited by PGIA teachers and assigned a spring project to get them accustomed to homework, good work ethic and responsibility. Lastly, prior to entering seventh grade students are required to take a math placement test. PGIA is known for it's strict rules, high expectations and most of all, quality education; however, we are confident that with the values and norms instilled through our Montessori program these students will triumph and achieve their goals. Congratulations class of 2024!